The holiday season might be over, but presents just keep on coming for you fitba fans. It is only the start of the January transfer window, a month when teams panic, go crazy and spend huge amounts of money just to buy a foreign flop. Aye, I would much rather save my money after Christmas and keep those pounds in my pockets. We will be across all the major transfers this season, particularly those involving the goalkeepers, so feel free to join us for an alternative to the usual Sky Sports coverage. With it just being the beginning of January, things are still a wee bit quiet on the transfer front. 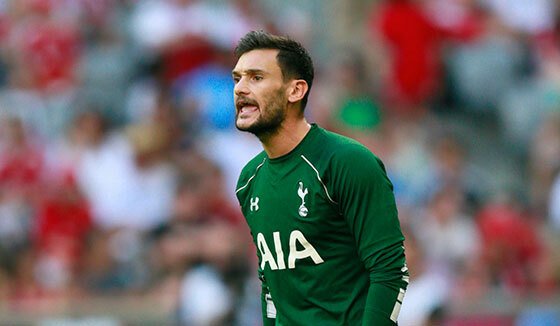 With the goalkeepers the only bit of news is Hugo Lloris wants to stay at Tottenham, though as we hinted they may be better off without him – they would be top of the league if we just took shots on target into account! Meanwhile in the glamorous world of strikers, Neymar is supposedly going to United for £140m. Aye, you read that correctly. Imagine the amount of saving you could do with that, think of all those ISAs and pensions you could fund with that kind of money. Bonkers I tell ya! Let’s take a wee look at the league table with the results based on shots on target. Good to see my favourite, Jack Butland, is still making a huge difference for Stoke. As well as Tottenham underachieving with Hugo Lloris in between the sticks, Southampton may also wish to look at a goalkeeper in this transfer window. Without any keepers they would be in sixth place, but instead are lying in 13th. They have certainly been getting the shots in themselves, but have proved a bit leakier this season than they were last year. A lot of this could be down to Maarten Stekelenburg playing instead of Fraser Forster, who is injured this year – showing just how vital it is to get the right keeper.